The Syndicated Deal Analyzer is transparent and customizable. You can purchase financial models from other sources but they are either “black-box” software or non-editable spreadsheets. In either case, you can’t understand and learn the formulas behind the numbers and you can’t customize them the way you want. 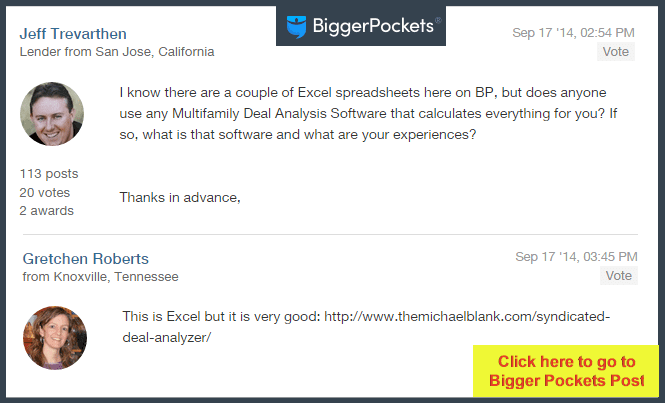 The Syndicated Deal Analyzer is a fully customizable Excel spreadsheet, and all formulas are clearly visible. 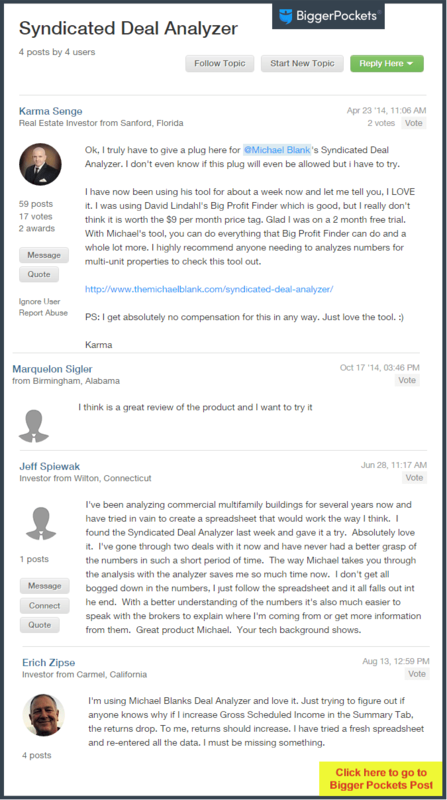 The Syndicated Deal Analyzer incorporates returns for investors and compensation for yourself. I have not seen a financial model out there that lets you “play” with different investment structures for your investors (such as simple loan, straight equity, preferred rates of return and combinations thereof). The Syndicated Deal Analyzer also shows you the impact on your returns if you pay yourself. The guideline is, you can pay yourself as much as you can as long as your investor returns are achieved. But how much? 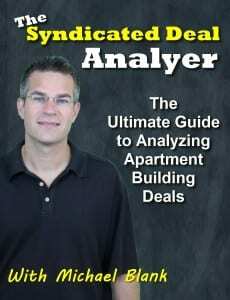 The Syndicated Deal Analyzer can be used to create a Deal Package in minutes. Once you completed your deal analyzer, the Syndicated Deal Analyzer makes it easy to copy and paste all aspects of the deal to a Deal Package that you can give to your investors, bankers, and other professionals. You could probably build an analyzer yourself, but how long would that take you? Wouldn’t your time be better spent looking for deals than building an analyzer from scratch? You’re getting so much more than just the Excel spreadsheet software. 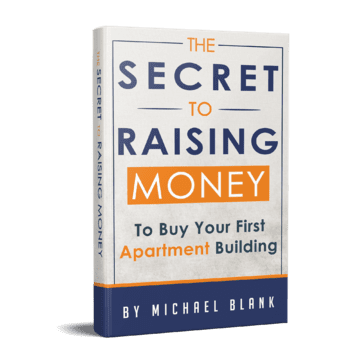 You’re also getting access to 7 additional videos that teach you how to analyze a deal and decide what you should (and shouldn’t pay) for the deal. Take my deal package and modify it to quickly create one for your investors and lenders. Watch me analyze two different deals from beginning to end. Normally only for my coaching students, these 45 minute video sessions will cement the concepts learned and make you a deal analysis master! You can download and read on the go if you prefer reading instead of or (better yet) in addition to the videos. Step-by-step and full of screen shots.